This morning, I went into the kitchen, planning on making pancakes, but instead found my mom already in there, preparing to make mung bean porridge. I was soooooo happy. I LOVE it. 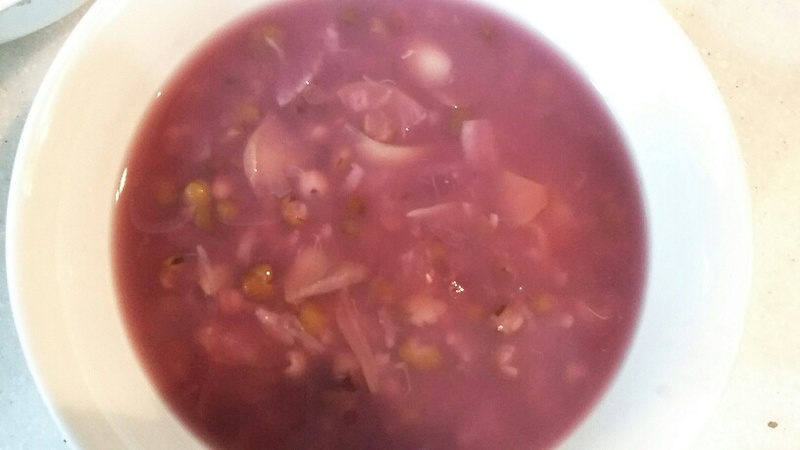 Mung bean porridge is very traditional and common all over China. The Chinese say it has cooling properties ,but besides that, its packed with nutrients, fiber and even protein. Basically any healthy eater’s dream. 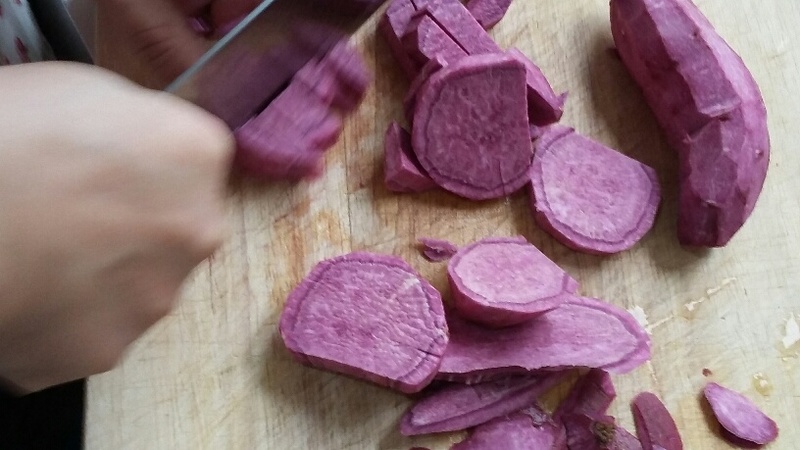 Read more here and here (I don’t think I need to mention how healthy sweet potatoes are). Bonus, its simple to make so onto the details!!! 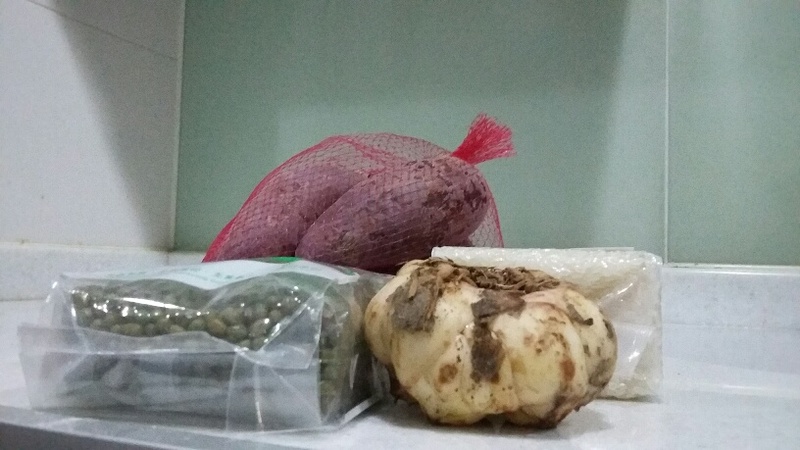 soak the mung beans, Job’s tears and lillybulb overnight or at least until they have absorbed most of the water. 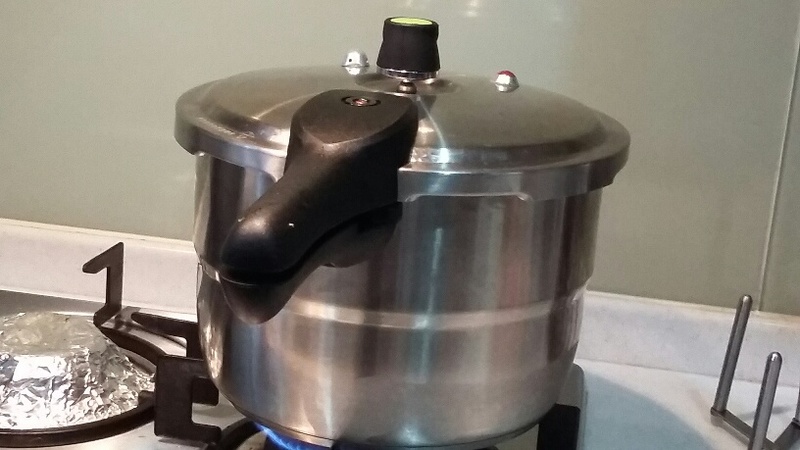 Put everything into a pressure cooker with 1.5l water and cook for 30-40 min. Serve and enjoy!!!!!! The pressure cooker stopped working 20min in so the porridge came out a bit watery, but it was still amazing. 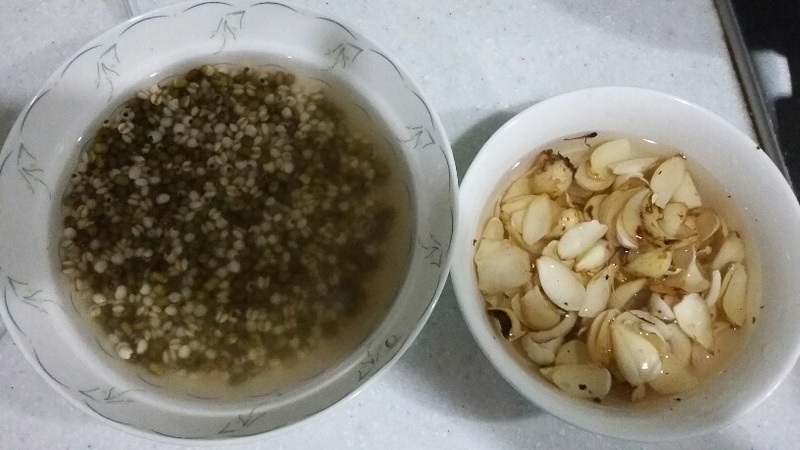 Place the mung bean, Job’s Tears, and dates (if using) in a bowl and fill it with water. Thoroughly wash the lillybulb and peel apart, discarding any discolored pieces. Put in the bowl and allow the ingredients to soak 8hr or overnight. After soaking, wash, peel and chop the sweet potatoes into little chunks. Place all the ingredients into a pressure cooker, fill with 1.5l water and allow to cook for 30-40 min. Remove from fire, serve and Enjoy!!!!!!!!!! More ingredient ideas: white tremella, lotus seed, dried goji, millet, foxtail millet, glutinous rice. Be Creative, explore the Asian food store!! !